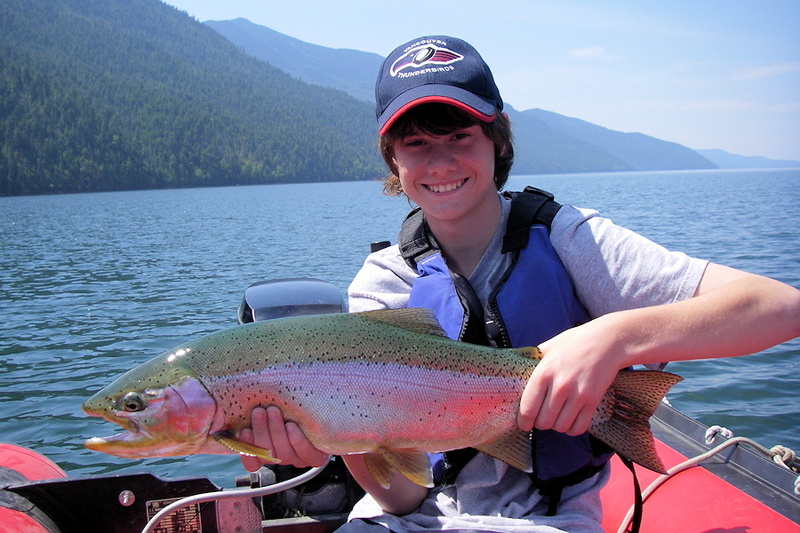 Experience fishing Quesnel Lake. Try your hand at fly fishing this big lake. Many ‘experts’ would look at Quesnel Lake and simply say that it cannot be worked with a fly. Nothing could be further from the truth. 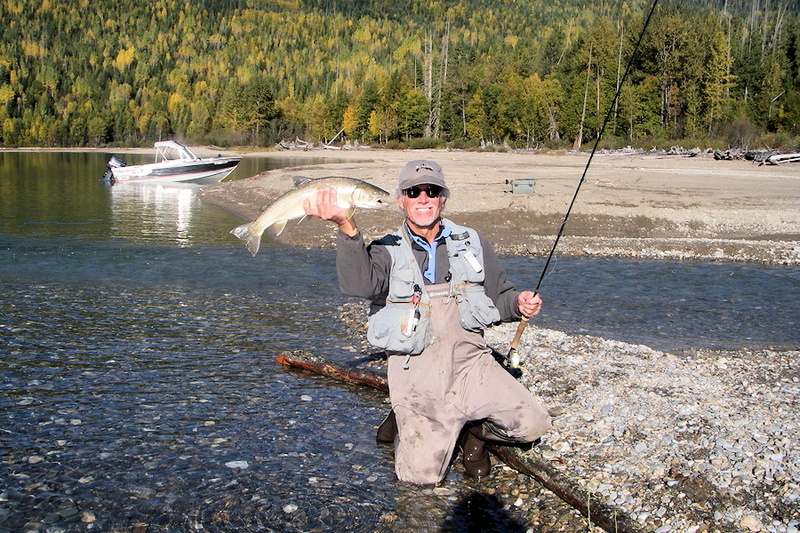 There’s great fly fishing in Quesnel Lake and it’s feeder creeks! From casting egg patterns to ‘buck tailing,’ our guides will open your eyes to one of the world’s best kept secrets. It’s pure excitement! Spin casting and trolling are also common angling methods used in our waters. Imagine yourself making that perfect cast into a pulsating ball of salmon fry. Why? Because these ‘bait balls’ are being formed from below by large hungry rainbow trout feeding on fry. Your adrenaline will start pumping as you watch these huge predators slash through the balls of baitfish. Now, place the perfect cast, make the perfect retrieve, and suddenly, there’s a strike from a 12 pounder! Of course, actually landing these giants involves skill, the right equipment and perhaps a little luck. Prime fly fishing in Quesnel Lake and its numerous feeder creeks starts in the middle of May and continues through October. The action can be fast and furious on the water as well as at the creek mouths. 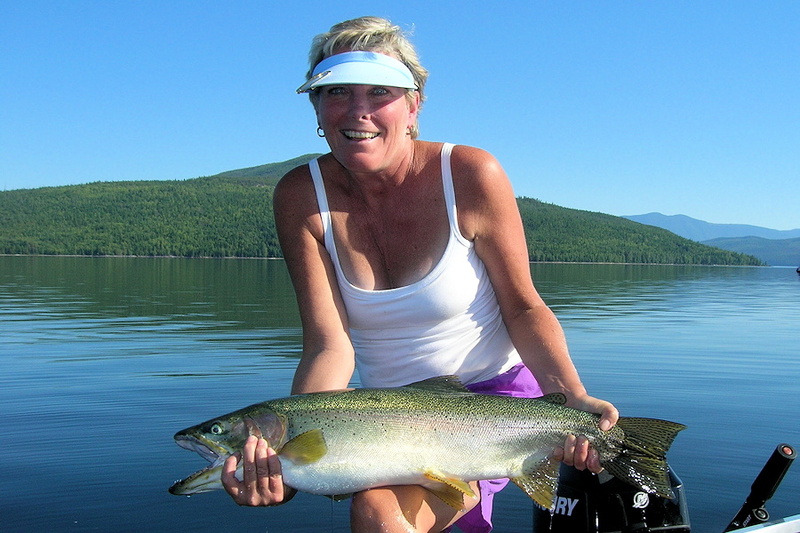 Catches of 25 trout a day are not uncommon, but beware those days require physical stamina. While wild rainbow trout are our primary targets, Bull trout, Lake trout, Kokanee, as well as whitefish are all present. Brian Chan, world renowned fly fisher, fly tier, author & instructor.